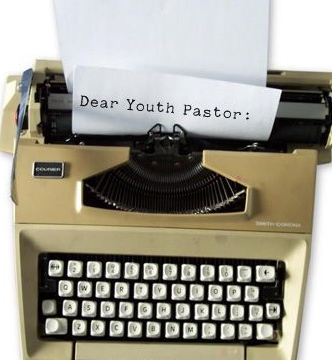 Note: If this is your first time reading “Dear Youth Pastor,” please read this post first. I have been praying about maybe becoming a youth pastor. I made a commitment to follow Jesus in junior high, and my youth pastor was a huge support and inspiration to me during some difficult times in high school. I really feel like God is leading me to youth ministry, but I’m not sure how to really know. I’m in my senior year of college and have been offered a part-time youth ministry position at a small church that would start this fall. I’d like to think that I’m ready, but I want to make sure that I’m doing what God wants, not just what I want. How can I know if I’m supposed to become a youth pastor? You are a really popular and cool person. To be a youth pastor, you have to be 100% fun, 100% of the time. It’s a well-known fact that God can’t use introverts who aren’t the life of the party. When you work with teenagers, it’s important that you be just as cool as they are. If you’ve got this part down, you’re 90% of the way there. You play the guitar and know just about everything about popular music. First, there has never been a youth pastor who wasn’t good at playing the guitar. For as long as I can remember (it’s probably in the Bible somewhere), youth pastors have been required to play the guitar. In addition, you have to like the same music teenagers do, or you won’t be able to relate to them. That’s why it’s not a good idea to have volunteers on your team who are over the age of 25. You are a very outgoing person who loves messy games and lock-ins. Listen, if you don’t like silly games or sleep deprivation, I’m not sure why you even want to be a youth pastor. Youth ministry has to by synonymous with non-stop fun. If you aren’t good at keeping teenagers entertained, then you won’t be good at youth ministry. I hope this helps you in your discernment! If you fulfill the requirements I’ve listed, then you definitely are called to be a youth pastor, and you’ll be a very good one to boot. Dear Youth Pastor is a public service to the good people who read this blog, and letters are published every Thursday. To ask Youth Pastor a question, just email him at DearYouthPastor@hotmail.com. Several Questions…is this a spoof? Is the answer that you gave the person who was sincerely asking for direction from you a joke? I cannot believe that you actually posted this in good conscience thinking you were giving sage advise. So only entertaining, “cool” extroverts, who play the guitar wonderfully and love lack of sleep and cheesy games are qualified? What about true Christ followers who have a growing love relationship with people, who sees the needs of the broken and dejected young person and want to reach out and help? What about the one who has nothing to offer except the willingness to go where ever God leads them, who sees that they are nothing and is okay because to them God is everything and they want to lead others to Christ and let them share in that love relationship? Kids don’t need to be entertained. Isn’t that what the distractions of the world do? Kids (young people…youth…whatever you want to label them) need to see Christ. If you are there to be the life of the party and try to put on a three ringed circus in order to entertain them then I think you should stop being a youth pastor. I feel sorry for your church and the parents that have entrusted their kids to you. What a shallow and pathetic view you have if you think that entertainment and popularity are equal to the magnitude of leading others to Christ by your life. Those kids look up to you and are looking for something to believe in, and if you focus your time with them on fun and games alone then they are going to see through the shallowness and turn from God thinking that there is nothing more. I am praying that you would see the true meaning of leadership and that God would turn your heart to Him and reveal to you that you need to invest in those kids for time and for eternity. Silly games and other crap like that should not be your aim. Thanks for stopping by! If you follow the link noted in the very first line of the post (“Note: If this is your first time reading ‘Dear Youth Pastor,’ please read this post first.”), you’ll discover that yes, it is a spoof. The letters were all created in my own imagination, and the responses are ridiculous on purpose to make a point.